A game of cunning, intrigue and deception! Genoa, 16th century: use your cunning to become the new Doge! In Brides & Bribes, you and the other players try to outmaneuver one another as scheming nobleman in Renaissance Genoa. Starting with a handful of loyal family members and few resources, you will struggle to become the new Doge, Lord of Genoa, and the most powerful family in the city. You will have to use your cunning and deception skills to find the right balance between increasing your richness (buildings, news employees) and growing your power (marriage and influence)! 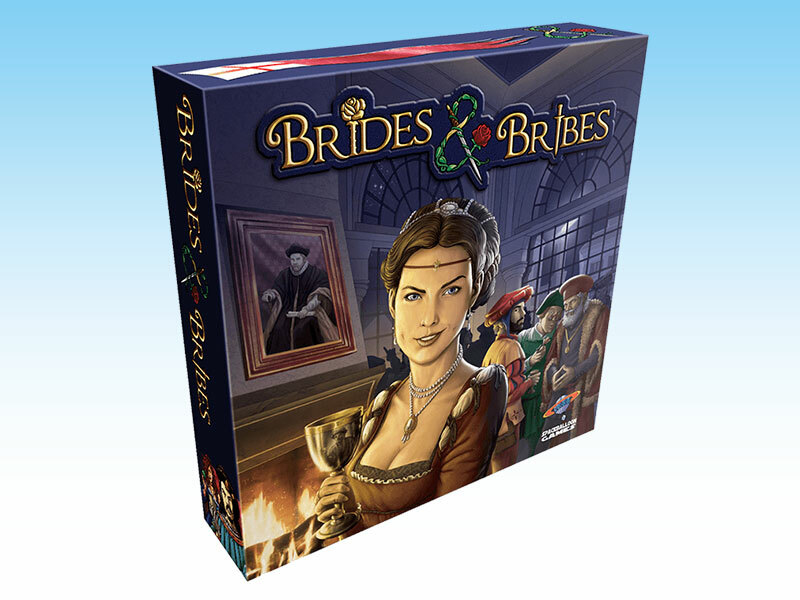 Brides & Bribes is a worker (tiles) placement and resource management board game, published by Spaceballoon Games. The incredible interaction between players makes the game evilly fun! The sequences of actions and counteractions keep you busy the entire game! 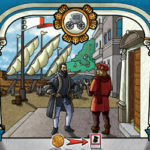 Brides & Bribes' innovative and unique use of a hidden worker placement mechanic gives players the feeling of being part of a Renaissance Genoa full of intrigue and deception. 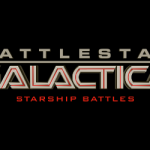 By hiring new employees at every turn, using a deck building system, players experience the feeling of "ever growing power" during the game. As a player, you will assume the role of one of the families competing to become the new Doge, Lord of the city. 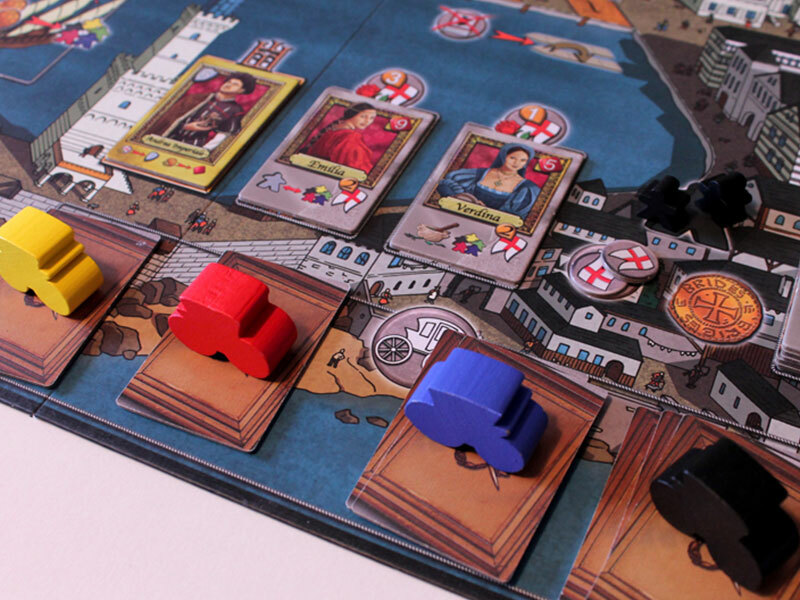 In each round, you will secretly plan to send a family member with the right skills into Genoese boroughs to perform one of the five possible actions: hire new employees, collect money, get new workers, increase your influence points or convince the local Lord that your family is worth a marriage with his beautiful daughter. Getting new workers will help you to build workshops and so get objects and influence points. 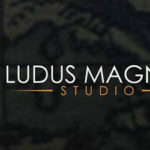 Hiring new employees, each with unique abilities, will help you to prevent other players from taking actions and help you achieve your shady purpose. However, be careful! The other families will be there with you struggling to earn the Lord’s trust and may leave you with nothing. You can gain influence points by marrying the daughters of the local Lords, building workshops or acquiring them in each borough of Genoa. 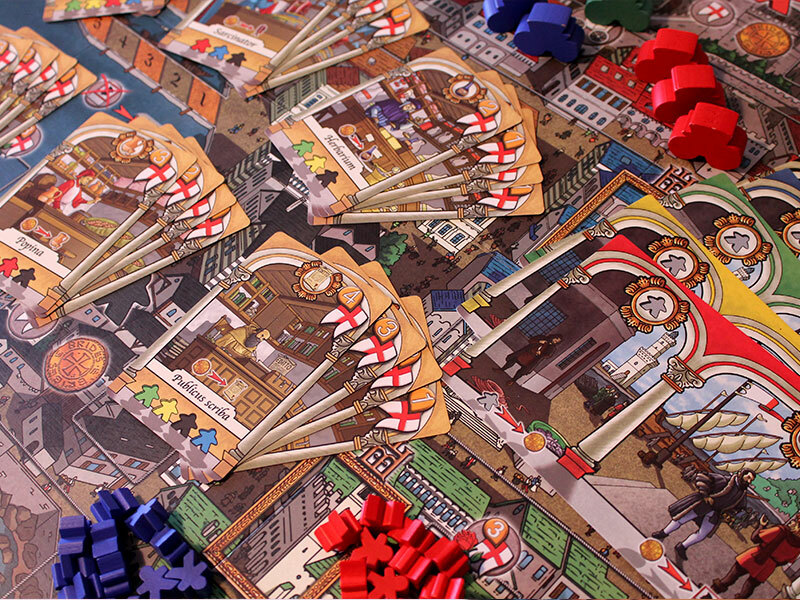 The game ends after 6 rounds or once a player reaches 20 or 25 influence points, depending on the number of players.